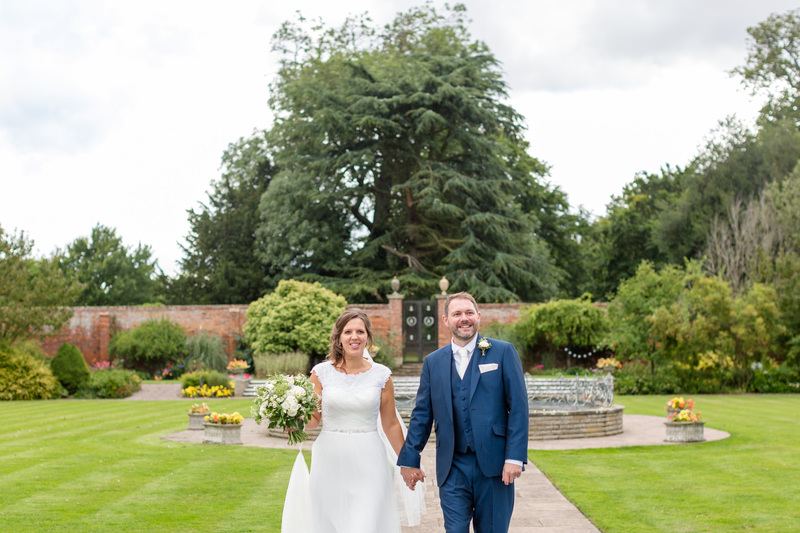 I arrived at Irnham Hall to find Layla and Jamie busy making their gorgeous venue look perfect, ready for the celebration of Natty & Paul’s wedding. 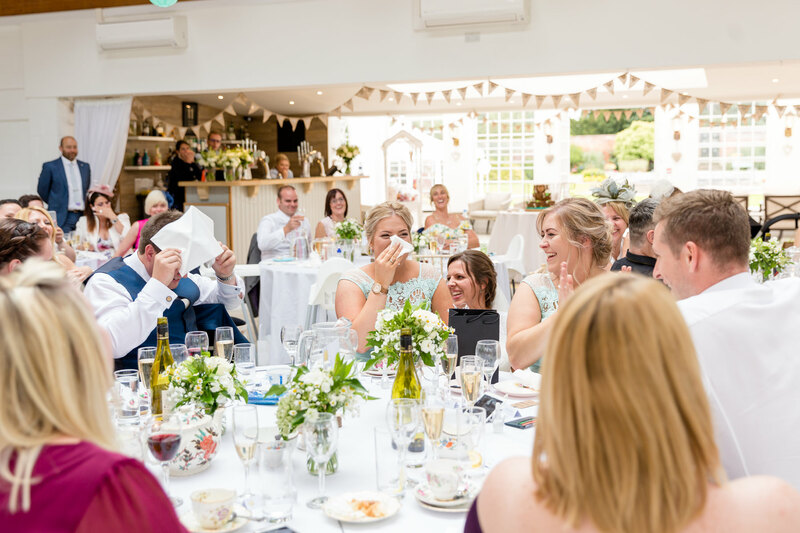 Paul was getting ready with his groomsmen, including his son Alfie, over at the cottage where the laughs and shots were flowing nicely! 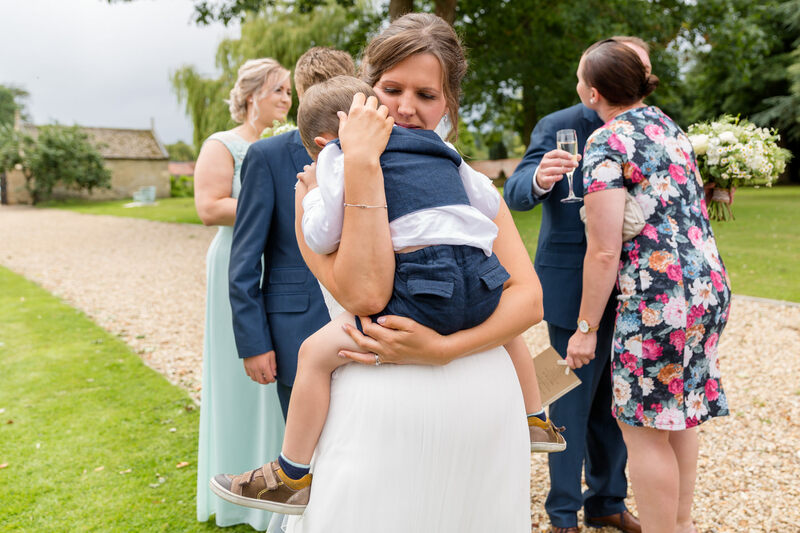 Natty spent the morning at home getting ready with her Mum, bridesmaids and her and Paul’s adorable, and ever so slightly cheeky little boy, Charlie. 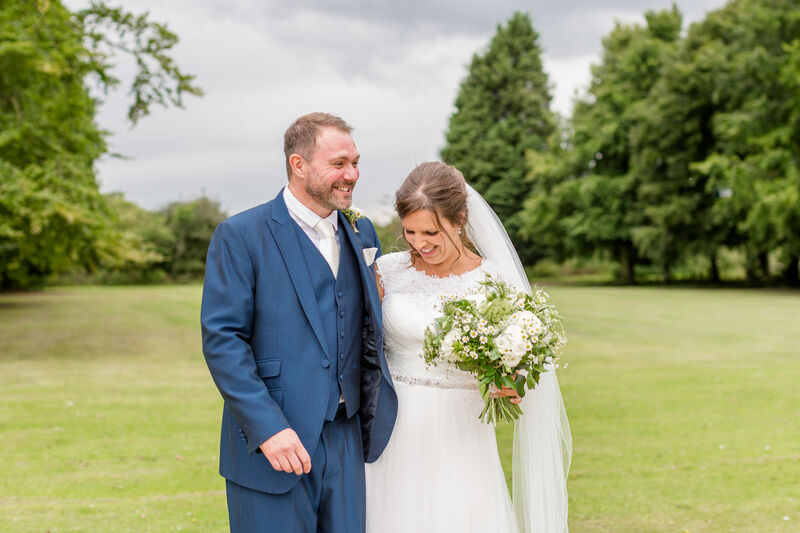 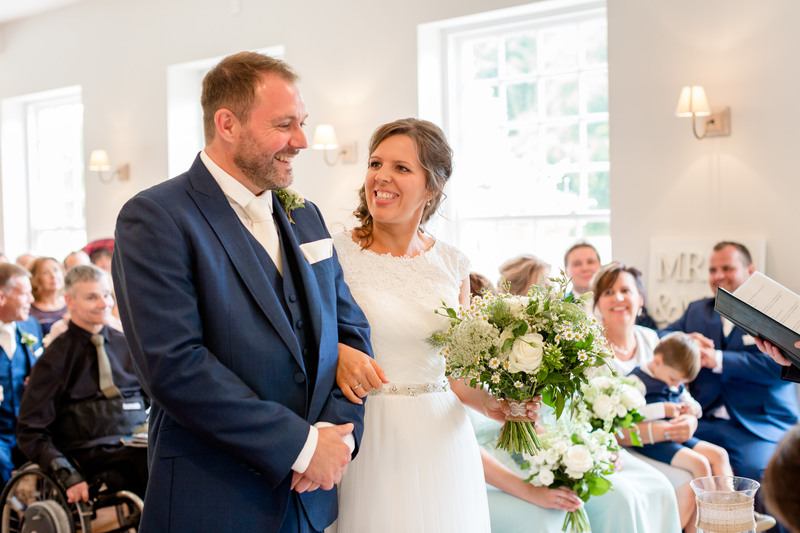 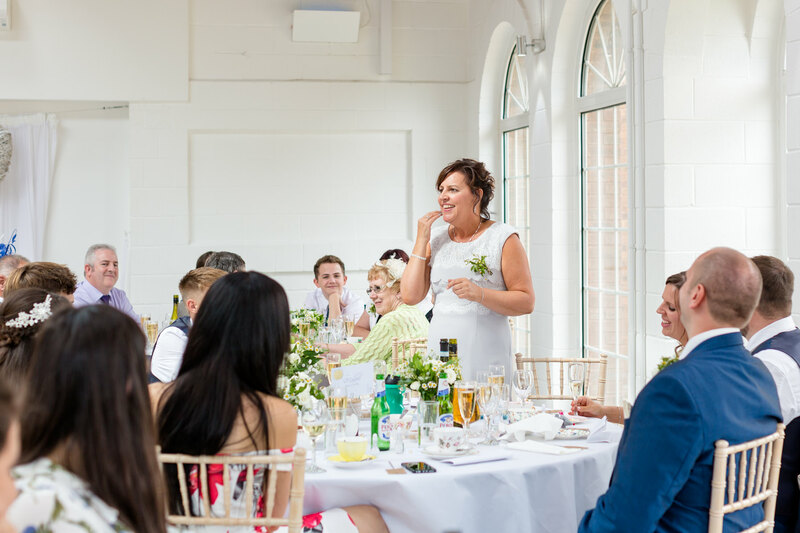 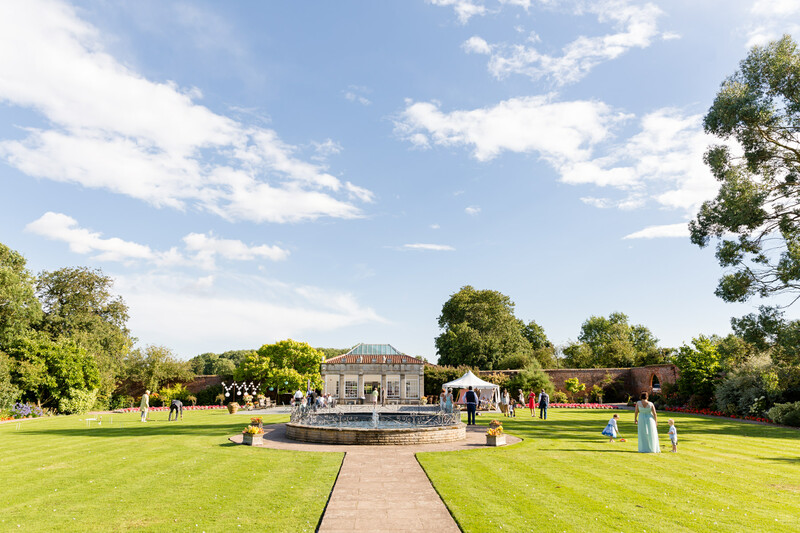 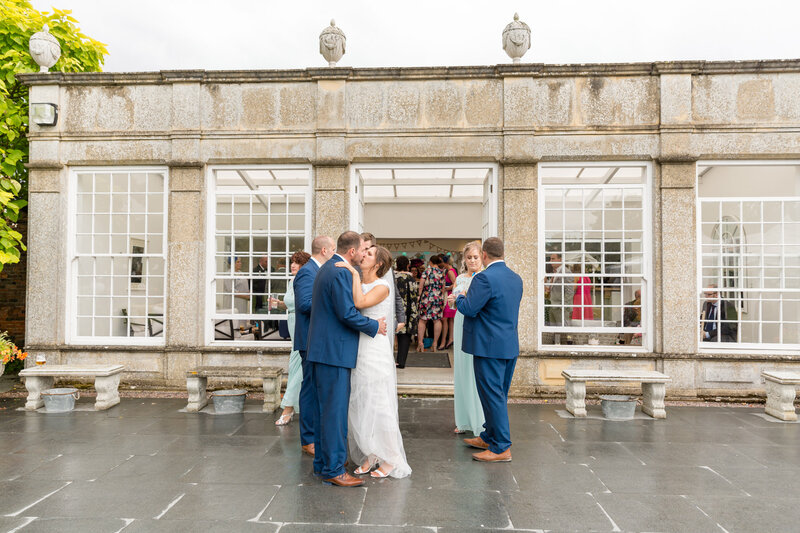 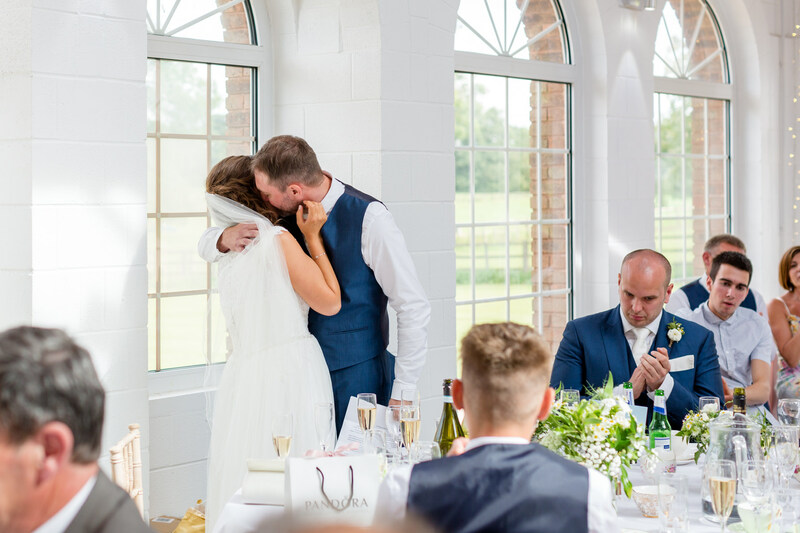 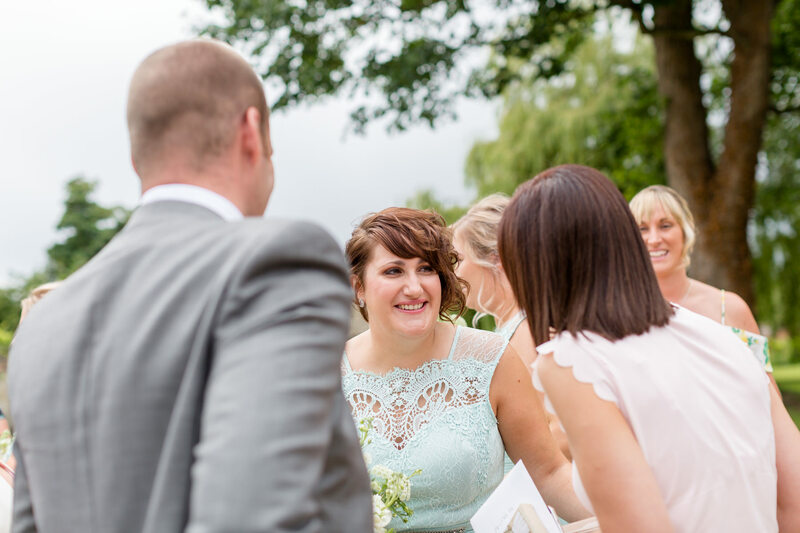 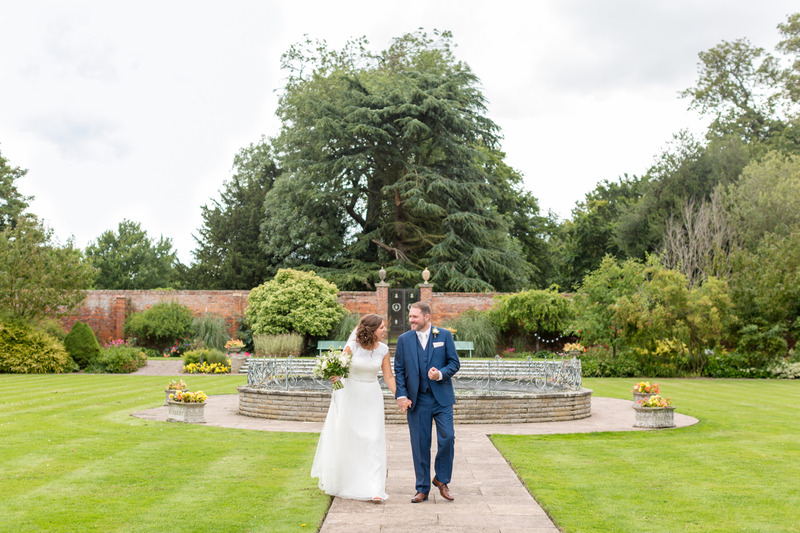 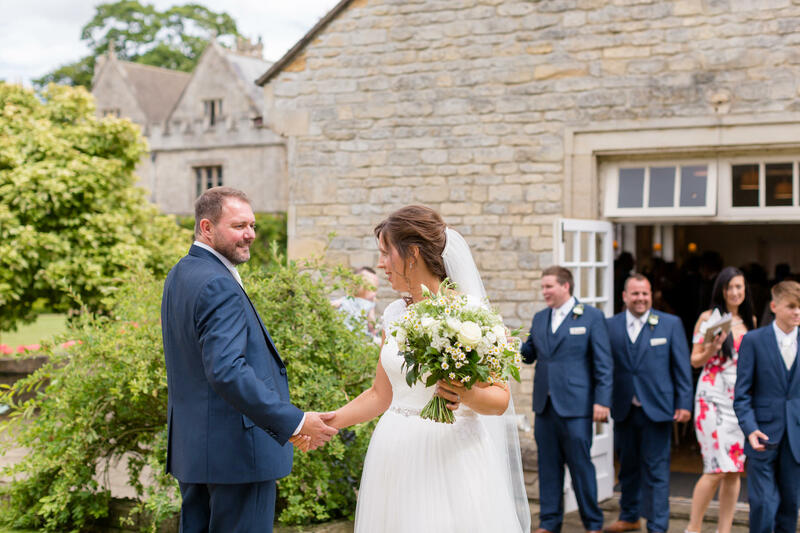 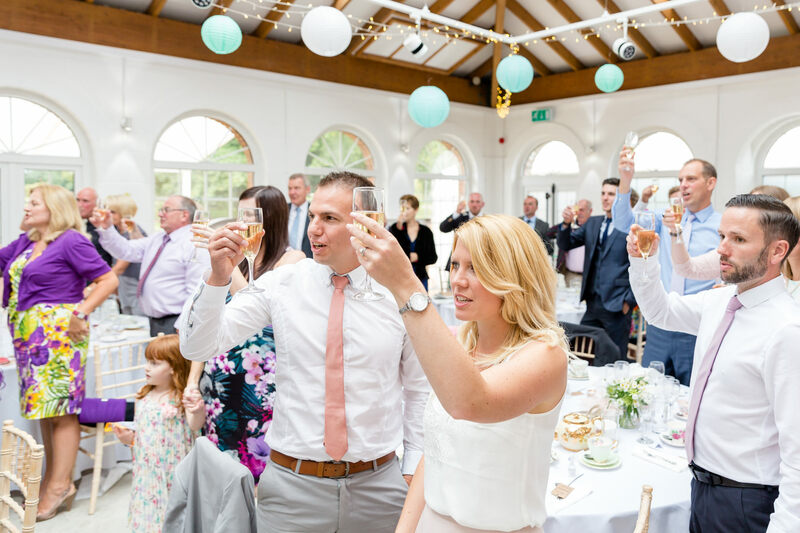 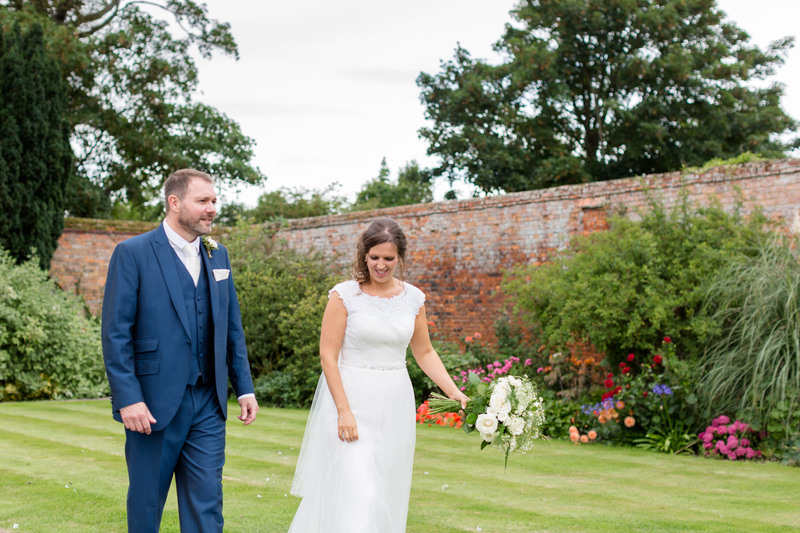 The orangery was filled with smiles as they said their vows before heading out into the sunshine to spend time with their guests. 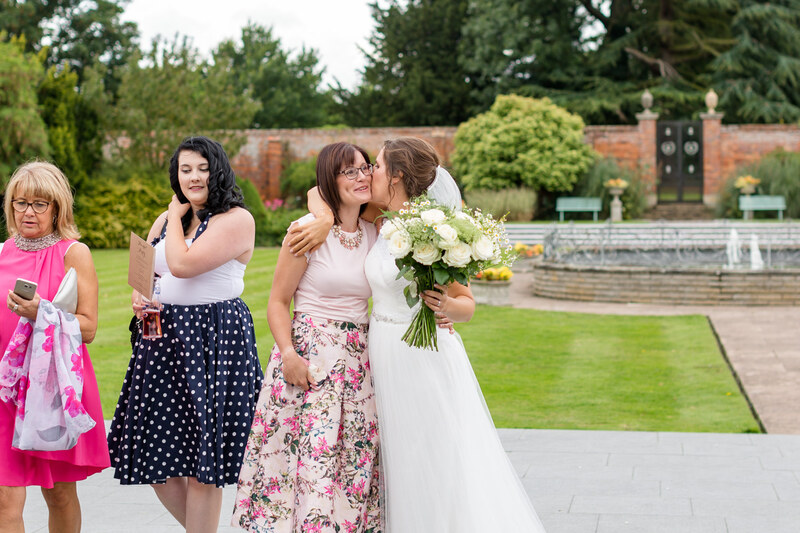 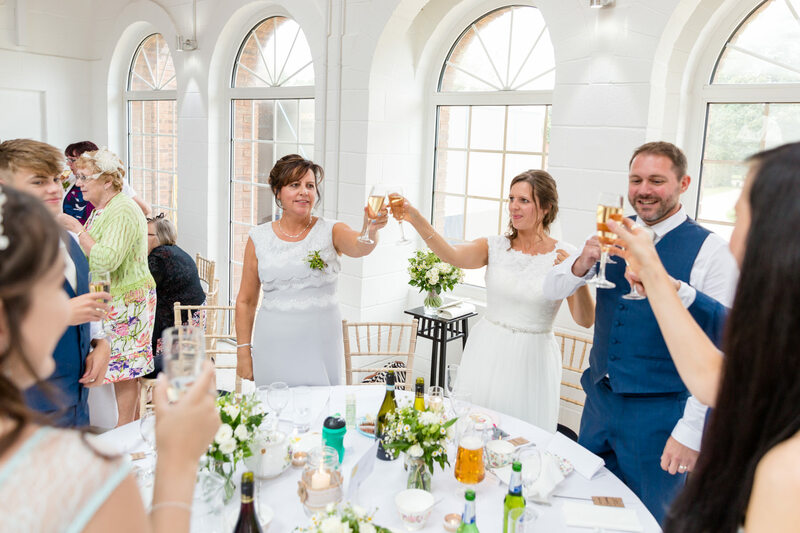 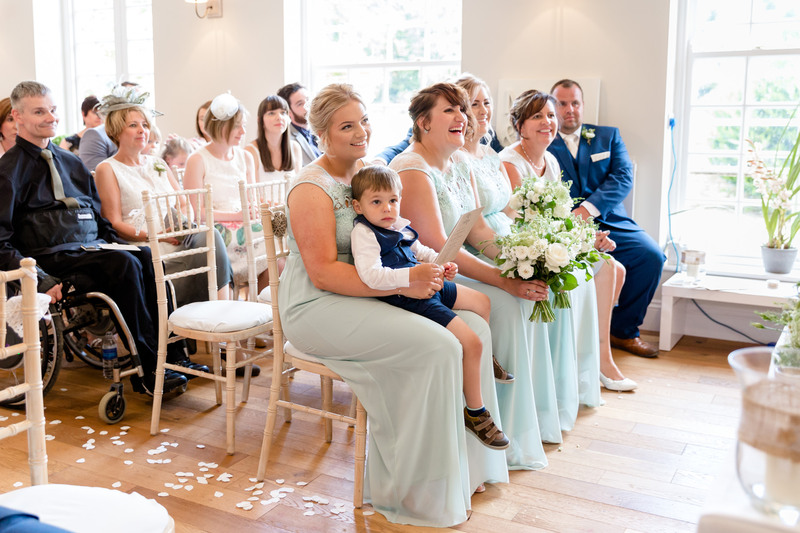 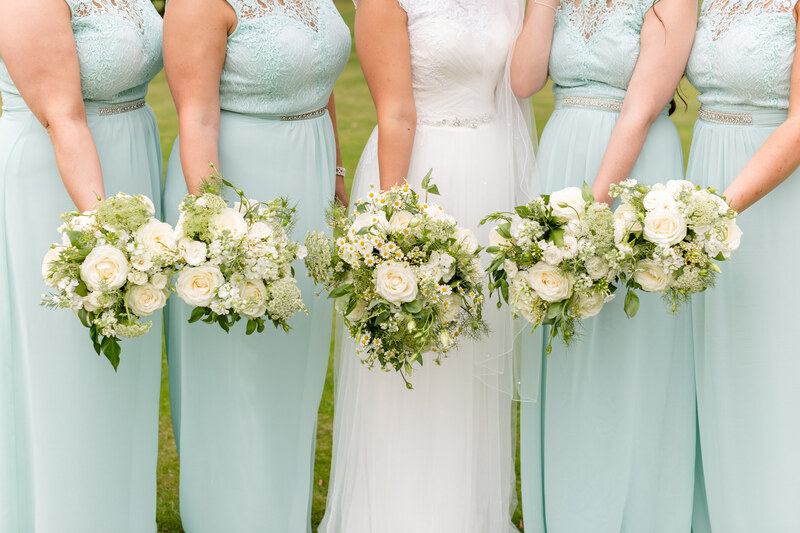 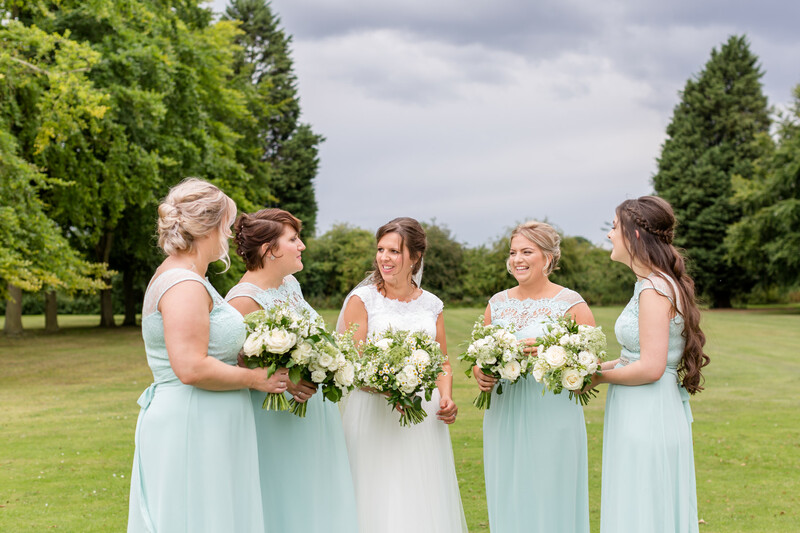 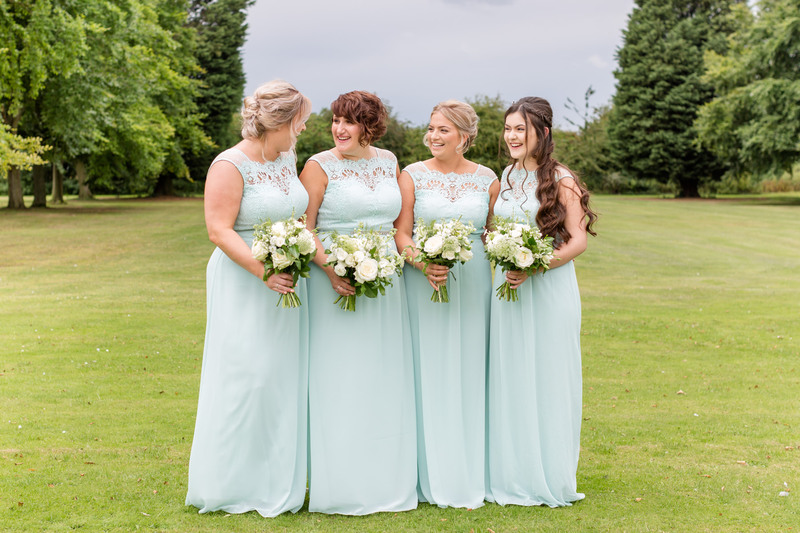 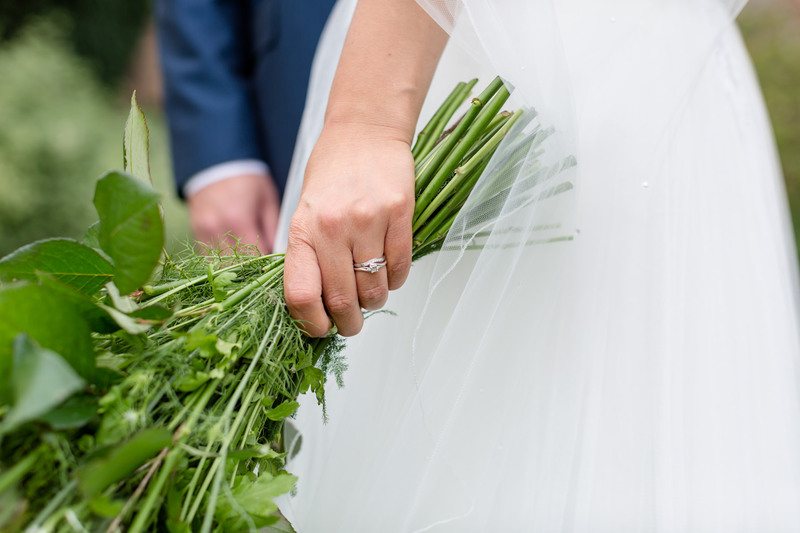 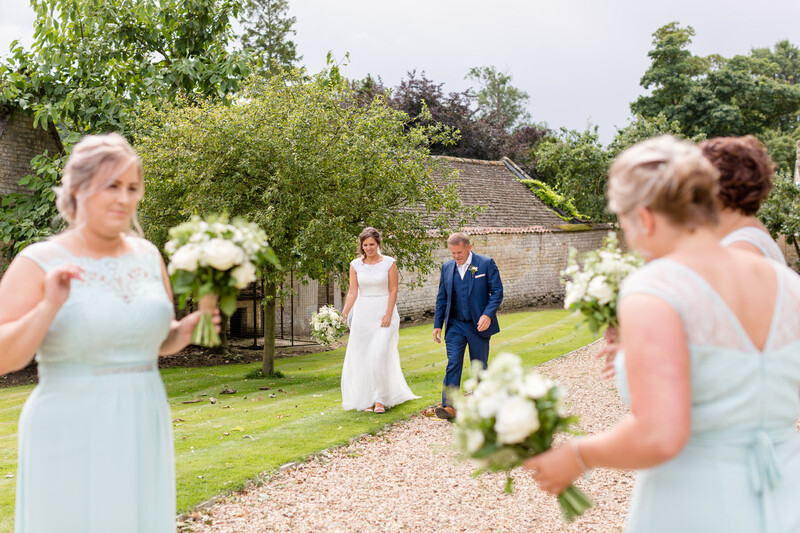 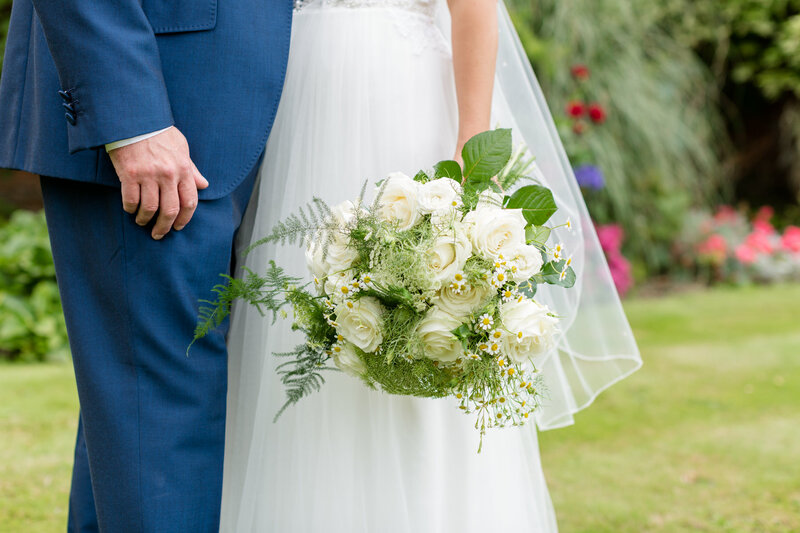 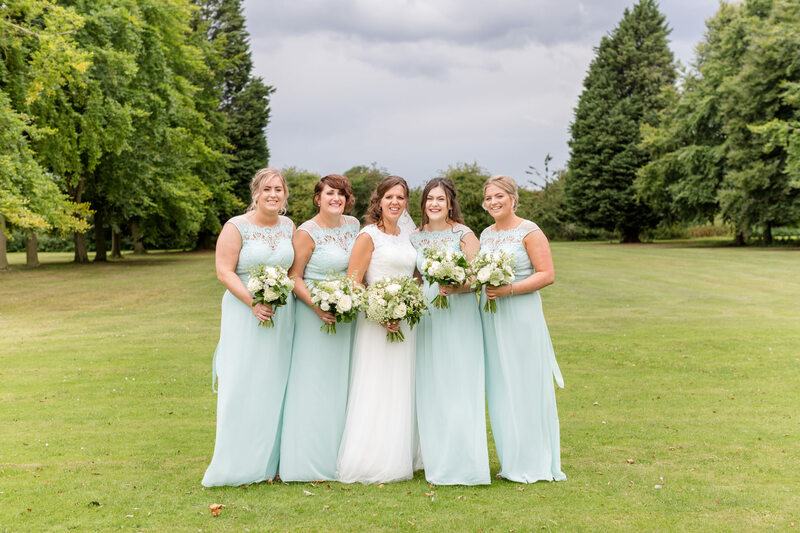 The styling of this wedding was stunning with the girls looking amazing in their flowing bridesmaid dresses and delicate white blooms to compliment the relaxed feel of the day. 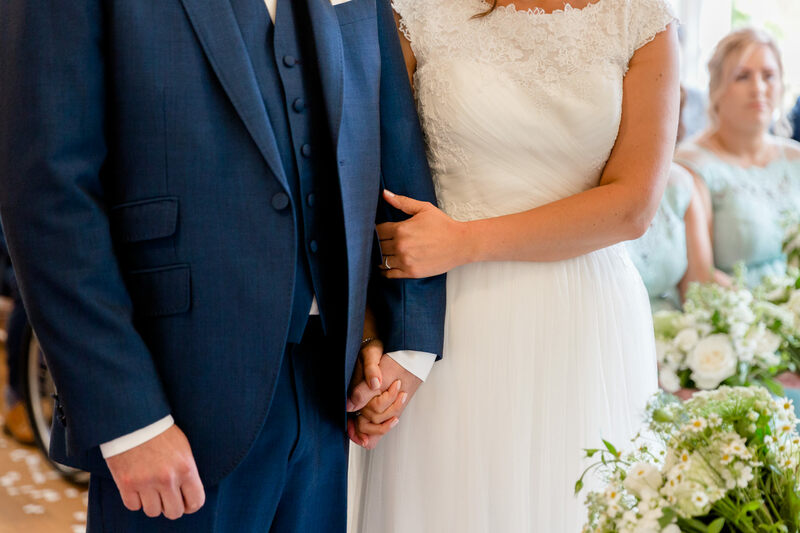 Paul’s daughter Lois has the most amazing long hair and looked beautiful. 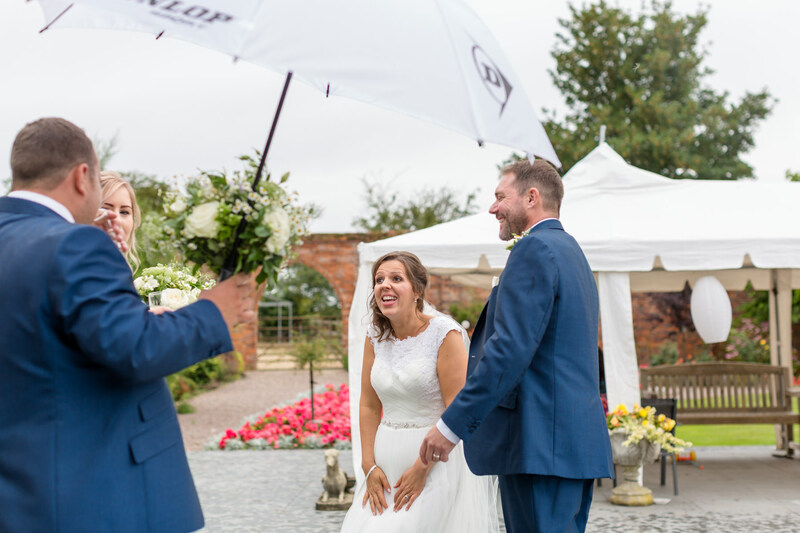 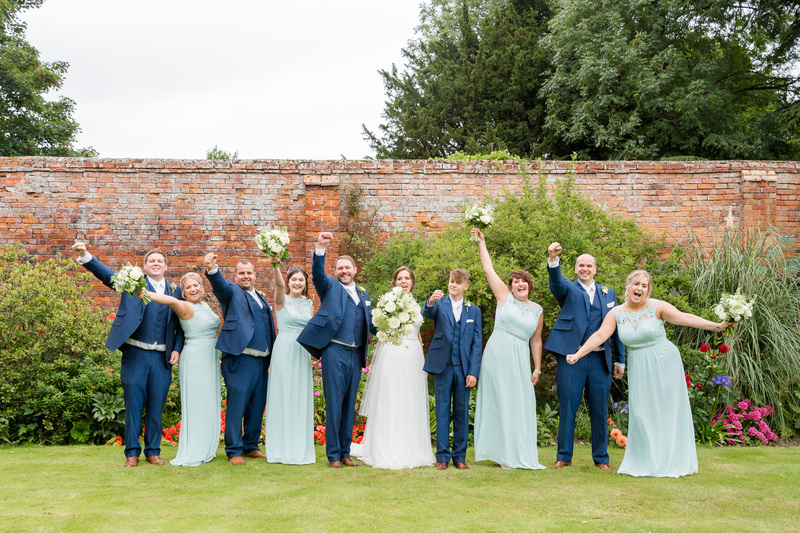 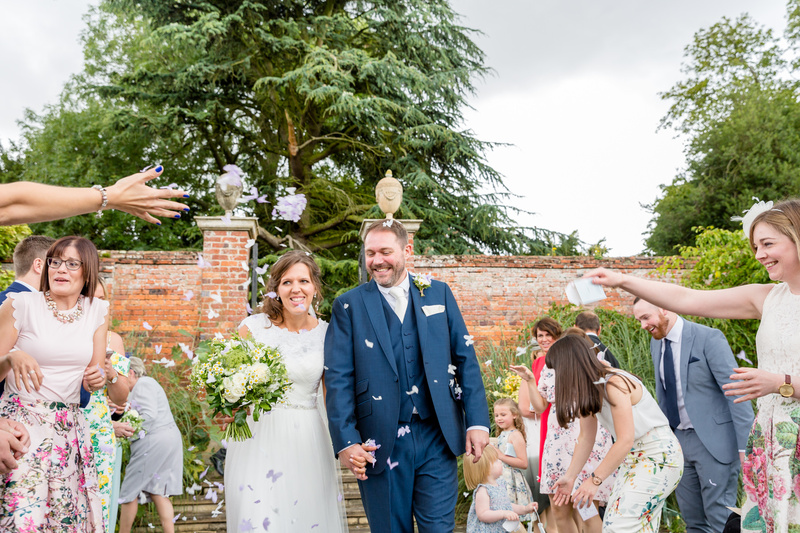 Confetti and a full group shot (with the odd umbrella) took place in the walled garden just as a short, sharp downpour happened! 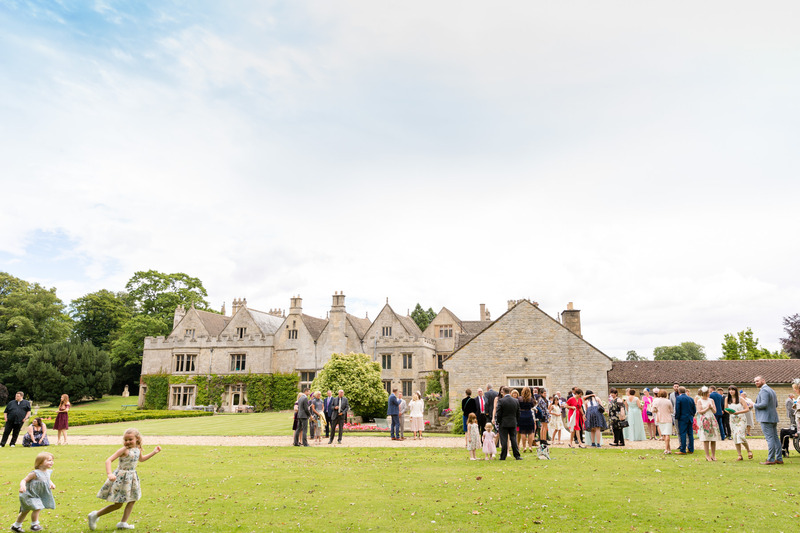 It soon fined up again and everyone was outside playing games, drinking and having a great time. 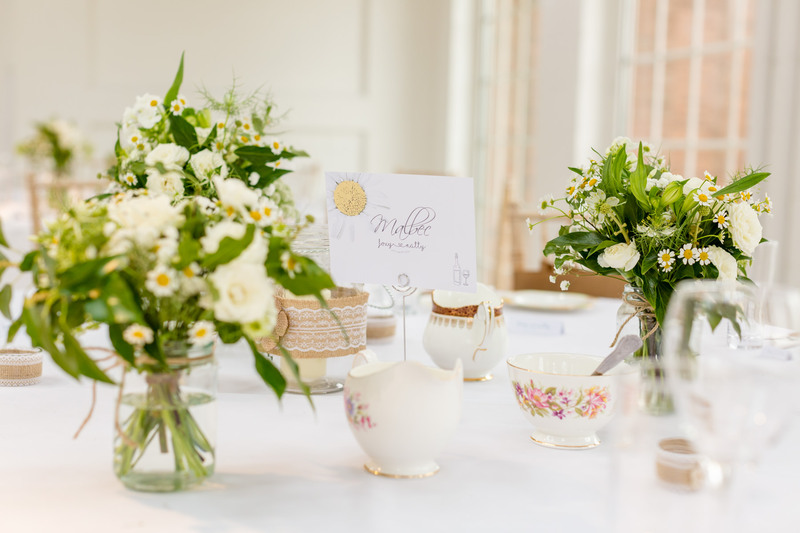 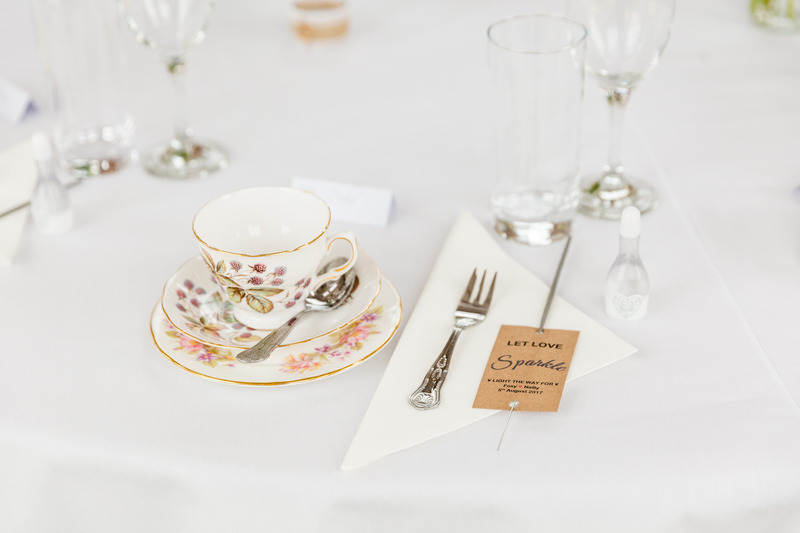 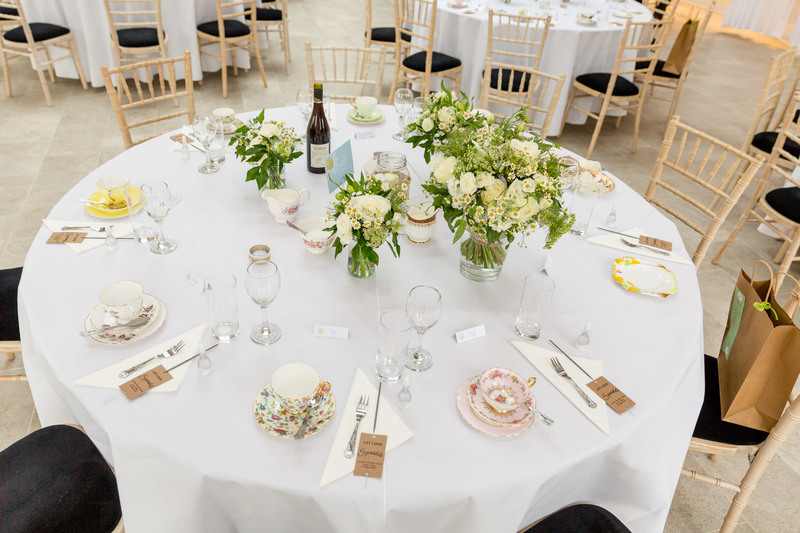 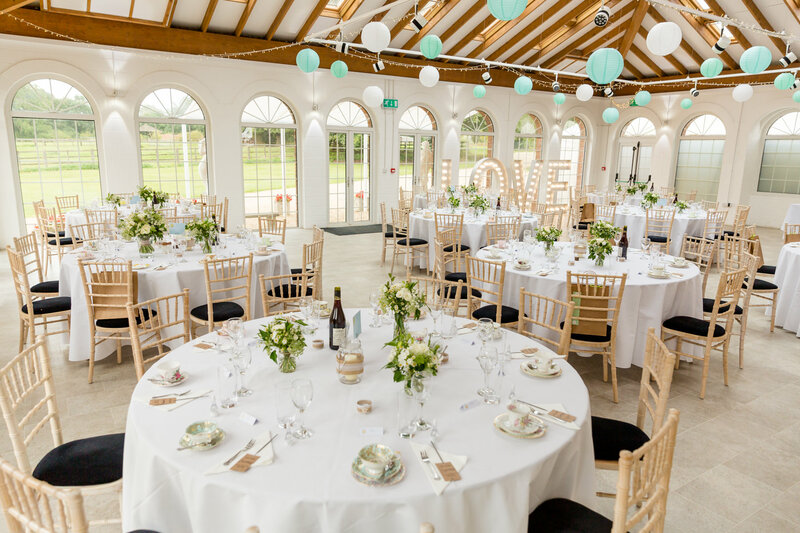 The summer house was filled with delicate details, it truly looked amazing with those white florals carried through and lovely vintage crockery, along with beautiful table name cards. 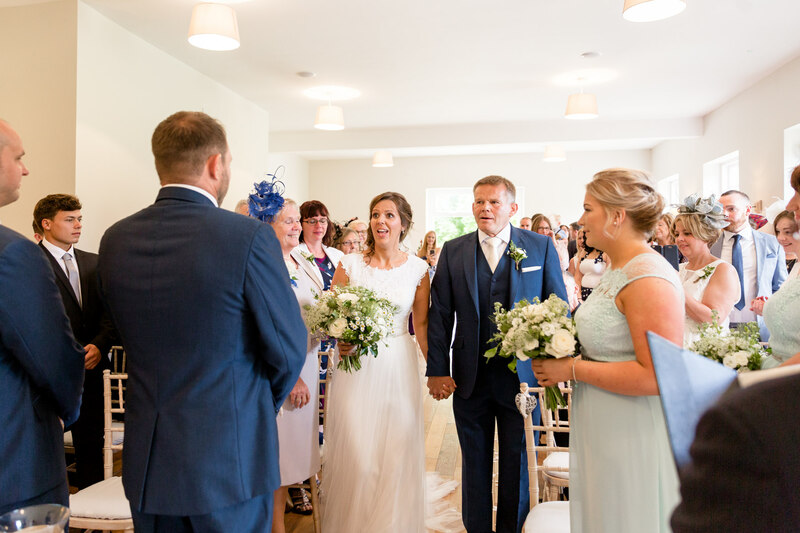 It was all ready for their emotional and funny speeches plus wedding breakfast. 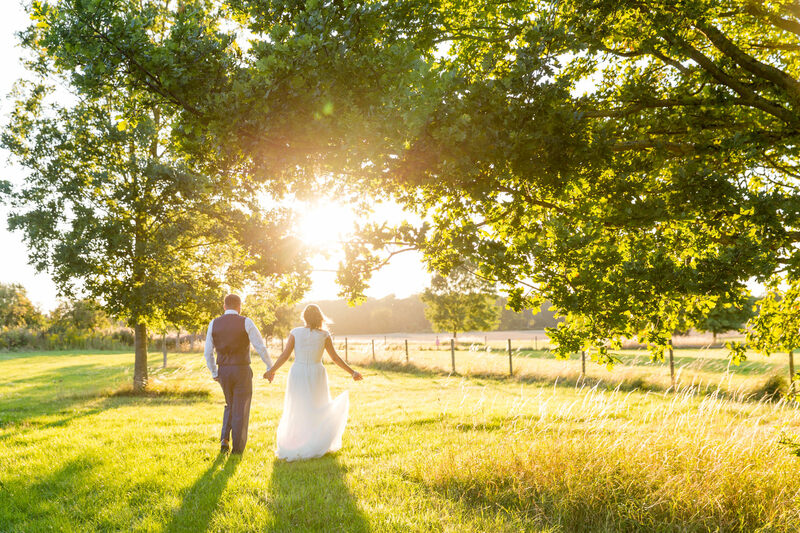 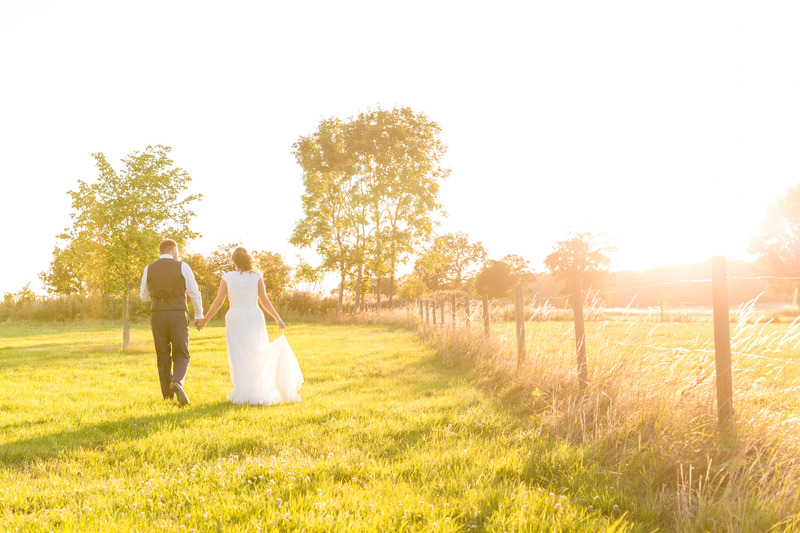 One of the many things I love about the long summer evenings, is that we get to head back out into the sunshine for some spectacular ‘golden hour’ images in the countryside. 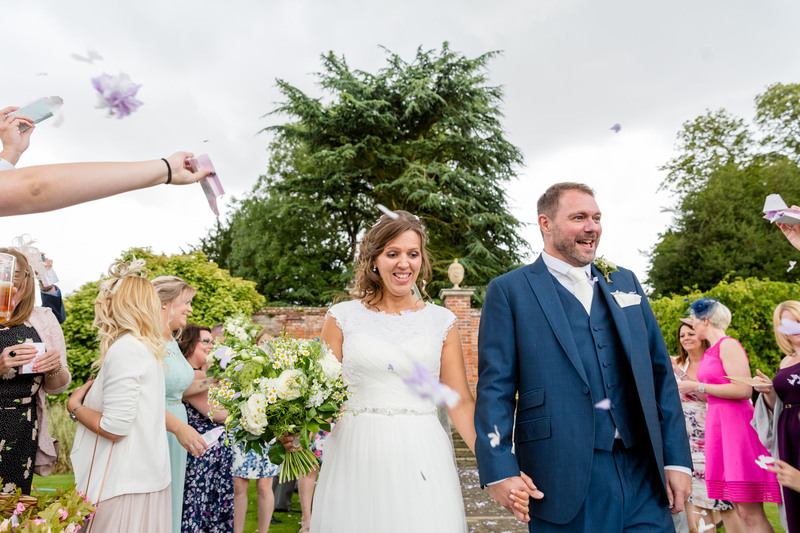 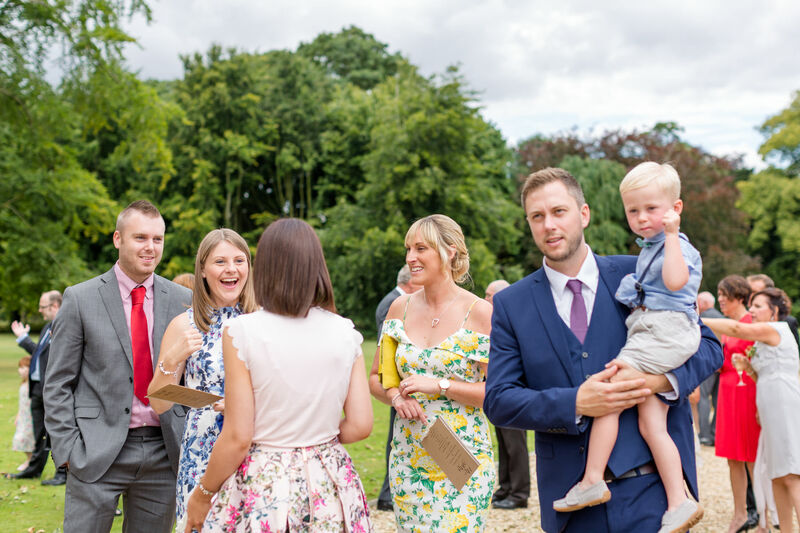 This was one super relaxed wedding with lots of time to capture the true essence of the people and their day. 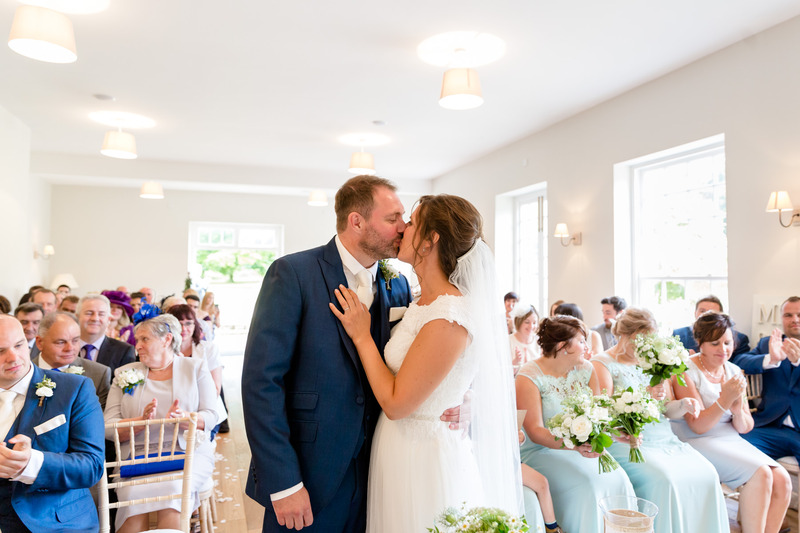 Here is just a small selection of images from their day, you can see a more detailed story of their day on the gallery page.